For those living in the modern world, audiovisual communications is something experienced on a daily basis. So much so, the technology and what it does for us is often an afterthought. But, for poor and rural countries like Malawi, South Africa, communications and information are key components to future growth. 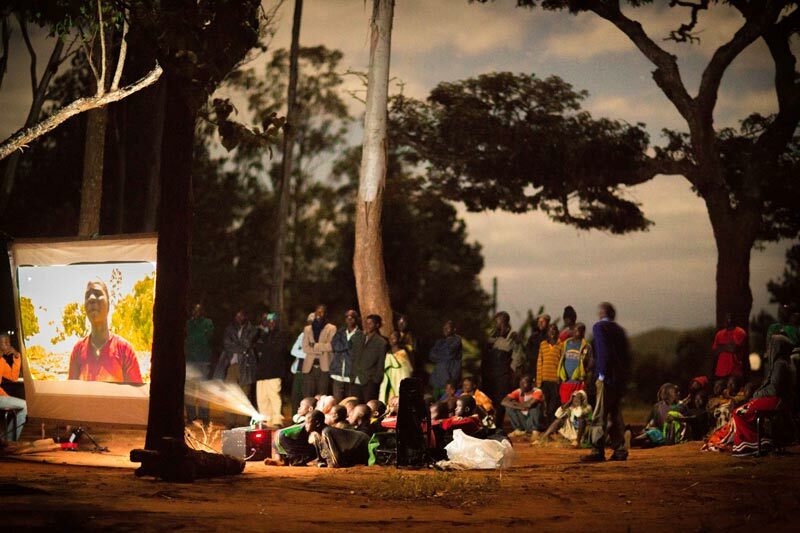 United Kingdom charities Purple Field Productions (PFP) and Temwa joined with alternative energy pioneers Electric Pedals to take an innovative Rucksack Cinema to remote areas in Malawi last year. Joseph Burke of Draper Group Ltd. provided the screen. This innovative project gives access to important life-saving information in one of the poorest countries in the world. So, not only is this a new way of using a projection screen, it is also an example of how important AV can be and in ways we might never have imagined. Below is a short film showing more about how the concept of the Backpack Cinema reaches remote areas of the world to provide educational films.